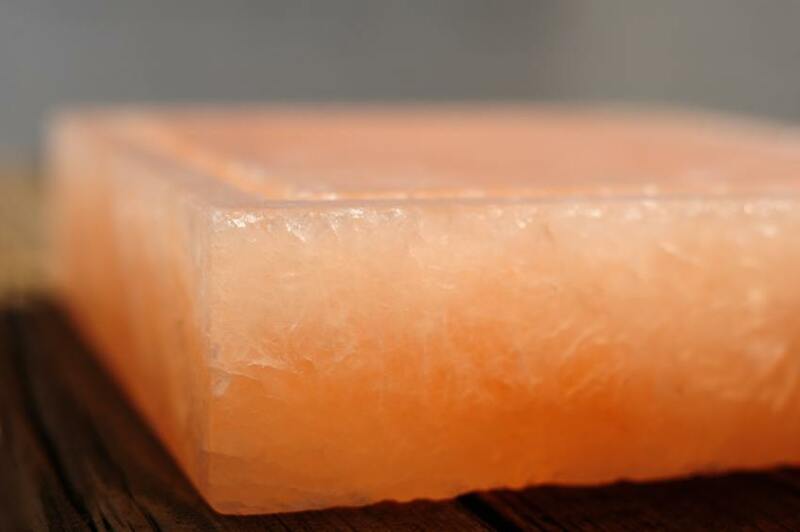 Want to try a Himalayan salt block for yourself? Pick up this HemingWeigh Himalayan Salt Block from this page on Amazon. For those who prefer to see and touch it before you buy it, certain high-end kitchen and home furnishing retailers do sell HPS blocks. However, you can also easily find them online such as this Large Himalayan Salt Slab for Cooking & Serving available on Amazon. Remember: When you purchase a Himalayan pink salt block, use and care instructions should always be included with the slab. Always follow those provided guidelines first and foremost (before any of the following) to ensure you get the best results and longest life our of your HPS block. Himalayan pink salt should be heated at a rate of no more than 200 degrees of temperature increase per 15 minutes. HPS a natural product with flaws and fault lines. If you heat your block too quickly, you may instead find yourself in possession of a whole lot of very expensive pink salt for your grinder! Need More Natural Health Goodness? You’ll definitely want to read Salt Block Cooking: 70 Recipes for Grilling, Chilling, Searing, and Serving on Himalayan Salt Blocks for some serious salt block cooking sensations. Also, check out these Top 10 Must-Have Gadgets, Tools & Gizmos Every Natural Health Enthusiast Needs for nine more of our favorite natural living toys!